The weather is slowly getting warmer and flowers are starting to bloom. The 1 World Sarongs Family celebrates our 19th year in business! It's been an amazing time and we are so grateful as we count our blessings for having you as our customer all these years! 7. Eternal GRATITUDE to you for being our customer! Just in time to get ready for those spring breakers, family vacationers and sunshine seekers that will be coming your way. Beautiful NEW Cotton Sarongs here continue to sell fast check them out! Check out these gems! Beautiful tie-dye sarongs with amazing colors! We always sell out of these so get your orders in while they last! Click to see more tie dye sarongs! Our Floral Sarongs / Pareos are some of our most loved. So we decided to make a dedicated category for them. They are beautiful, colorful and fun. Your customers will love these floral sarongs / pareos! Solid colored sarongs are great for your customers who just want a simple sarong color to match up their bathing suit. Also check out our lovely embroidered, sequined and beaded fringe solid colored sarongs. In our "Kedua Sarong Collection" You'll find beautiful sarongs of all styles and colors and designs. From hand printed sarongs or hand drawn sarongs to block printed or batik sarongs. There are many different types from abstract to elephant sarongs or feline to sun sarongs. Half or full sized sarongs. Click to see more! These Celtic Sarongs are beautiful. We've collaborated with Bali and have come up with these wonderful Celtic Sarongs. Great colors and proven to be a great seller. Try them out! These beautiful silk blend sarongs add the extra elegance to any bathing suit. Half sarongs / pareos are great as mini skirt wraps. Especially for the younger or more daring customers. But they also make great shawls, scarves, wraps or even a sash. There are so many ways to use half sarongs. Your customers will love these. Embroidered sarongs and hand painted sarongs can be found in this section. These lovely sarongs are hand painted or embroidered by artisans on the paradise island of Bali in Indonesia. These sarongs are exotic and gorgeous and beautifully adorned. Find here our "Pertama Sarong Collection". The Indonesian word for first collection is "Pertama". We choose this name cause of the type of fabric. We use rayon #1 in the Pertama selection. It's thicker and with a higher thread count so it's a heavier weight fabric. It sill is light enough to wear in hot temps and has a wonderful feel to them. For the higher end customers. These sarongs are top quality embroidered pertama #1 rayon quality sarongs. The feel and weight of this fabric is second to none. Beautiful sarong designs with beautiful fabric, a great match! Traditional Indonesian Sarongs and Neo-traditional Indonesian Sarongs. Beautiful plus sized sarongs that your customers will love to wrap themselves in! Great for plus sizes or for more ways to wrap. These sarongs / pareos in plus size have plenty of material. Sarong ties are an easy add-on and up sell with any sarong. They are fashionable and functionable at the same time. Your customers will want these. 1 World Wholesale has the largest selection of wholesale sarongs on the web. We stock 1000's of wholesale sarongs / pareos. -Balinese Silver Beads, Glass, Wood, etc. etc. More quality wholesale products coming soon. So check back often for updates, new products, special promotions and sales. Better yet, sign up for the mailing list to be informed of special news, info and deals. Many of our designs are unique and available exclusively at 1 World Wholesale. 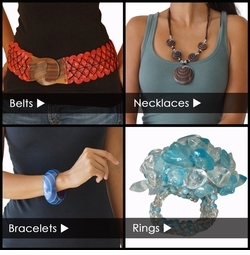 We could go on about our sarongs, jewelry, clothes, beads, art, etc... but we'll let the items speak for themselves. There are currently over 500 items listed with thousands of variations available. Everything is quality checked, hand picked, great priced, uniquely designed and specially hand crafted. You'll find we are highly specialized in offering Batik Sarongs, Batik Clothing, Jewelry, Beads and Art. We are open 24 hours a day and 365 days a year for your shopping convenience. Check our "Info" page for more details. We have over 1000+ designs of Batik Sarongs, Scarves and Clothes to choose from! Exclusive to our customers @ 1 World Wholesale! All products are created by skilled artists within the cottage industry. Therefore items are never exactly duplicated and contain a uniqueness all their own. P.S. Sarongs have been used for hundreds of years as dresses, skirts, and everyday clothing. They make great accessories to any day or evening attire. There are 100's of uses. You'll find your sarongs are fashionable and functional at the same time.